It’s a best business practice to source multiple request for proposals when you have an equipment installation or plant relocation project. Of course cost is one of the major factors, but there are also a handful of other critical elements to consider when choosing the best option for your organization’s rigging and millwrighting needs. To help you objectively evaluate equipment installation and relocation agreements and proposals, we asked our resident business development expert David Currier to share his best advice. One of the most important things to consider is the company history. You’ll want to see if they typically take on smaller, local moves and installations or have experience executing capital projects, larger jobs that generally have a budget between $100,000 and a million dollars. For example, AME completed a project five years ago that required 200 truckloads of equipment coming out of Ontario, Canada and to Charlotte, North Carolina. Because the client checked our company history, they knew we could provide project management and field teams with the skillsets and intuition for a major move. There’s no point in hiring an industrial contractor for a capital project if they’re unable to finance it. It’s vital to consider if the company has the financial wherewithal to handle your project as they will need to be fronting a lot of the resources when sending equipment and labor to the jobsite. Consider asking potential contractors to complete financial forms to qualify for the job as you’ll want them to get started and moving without having to asking you for the majority of the money upfront. One of the hardest skillsets to measure until you’re full swing into execution, the contractor’s ability to deliver a project on-time and within budget relies on the project management team’s shoulders. While many firms boast project management, having insufficient skills can be just as detrimental as not having someone at all. To avoid cost overruns, missed deadlines and other unexpected surprises, ask the contractors for references who can speak to their project management capabilities. Pro Tip: Request Proposals from Out-of-State Industrial Contractors and Save Money! While it’s easy to assume that partnering with an out-of-state industrial contractor would be more expensive, you’ll be surprised to learn that the AME team can travel to most areas in the U.S. and be less costly than local options . How? Lower labor rates and cost of living and union and prevailing wage laws in the Southeast allow us to be more competitive. To ensure you’re getting the best bid possible, request equipment installation and relocation agreements from a mix of local and out-of-state vendors. And while you’re at it, be sure to give AME a call or request a quote. It’s our mission to bring innovative solutions to complex problems with a commitment to safety, cost, effective plans and trained, certified professionals. Our team would be honored to work with you! 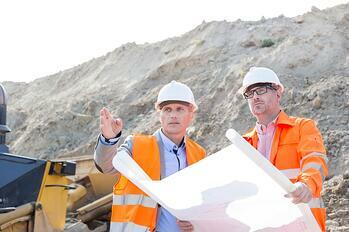 Read our "How to Hire Affordable Plant and Equipment Relocation Experts" blog post.